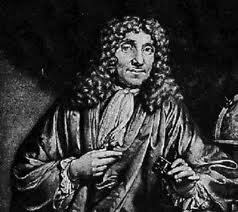 Van Leeuwenhoek's insatiable curiosity, coupled with remarkable tenacity and skill, makes him one of the most outstanding scientists of all time. In his own modest way he realized how rare his gifts were and also that other people's motives were not always those of a true student of nature. In a 1715 letter he noted: "Some go to make money out of science, or to get a reputation in the learned world. But in lens-grinding and discovering things hidden from our sight, these count for nought. And I am satisfied too that not one man in a thousand is capable of such study, because it needs much time ... and you must always keep thinking about these things if you are to get any results. And over and above all, most men are not curious to know: nay, some even make no bones about saying, What does it matter whether we know this or not""